We are experts so you don't have to be. Let us help. Ledgeview Partners is a business and technology consulting company who partners with organizations to transform sales, marketing and customer service operations & processes that are supported by core technologies including Customer Relationship Management (CRM) and Marketing Automation. 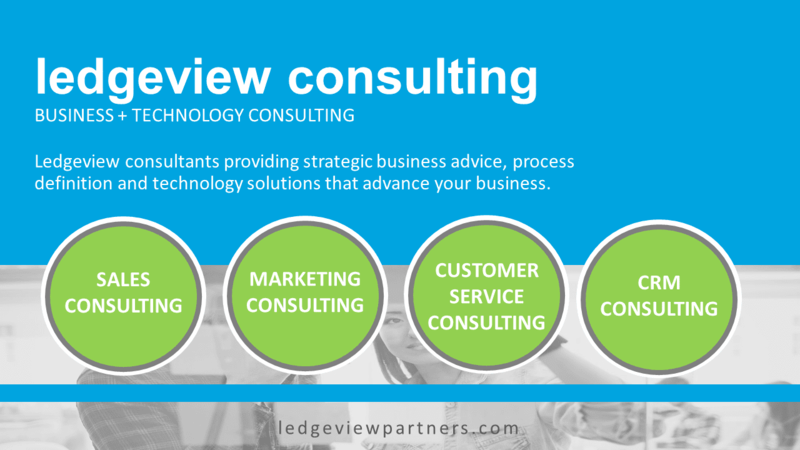 Ledgeview Partners’ consultants combine savvy business intellect with strong technological aptitude to provide solutions that extend well beyond software implementations. It’s about building relationships, transforming business, and delivering phenomenal customer experiences. Ledgeview Partners is a Microsoft Dynamics Gold Partner and a Salesforce Silver Partner. We know it sounds cliché to say we walk you through the process step by step, but we do! Consistent communication is important to us. We don’t just sign a customer and show up two months later with their CRM. We follow a thorough process that incorporates cost, scope and timeline controls. After the project goes live, we won’t drop you. 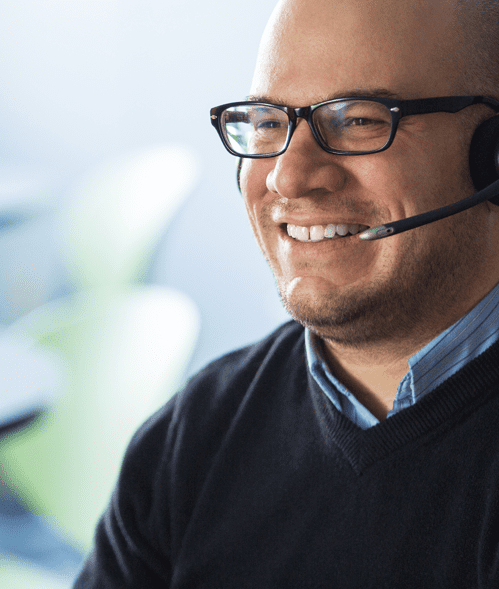 We provide ongoing support for every customer. That’s why we have a 98% retention rate. Our team works together very well. If one consultant handles your initial project and another steps in to provide support and enhancements, they always talk about your project to ensure a smooth transition for you. It’s just another way we build and maintain long-term relationships with our clients. We go beyond recommending a CRM or Marketing Automation system. We delve into your business to gain a deep understanding of your industry, and your goals, and then we lead you through implementing your technology solution to help make those a reality. To us, you’re more than a customer, you’re a partner. A successful CRM implementation, upgrade or project hinges on detailed preparation. 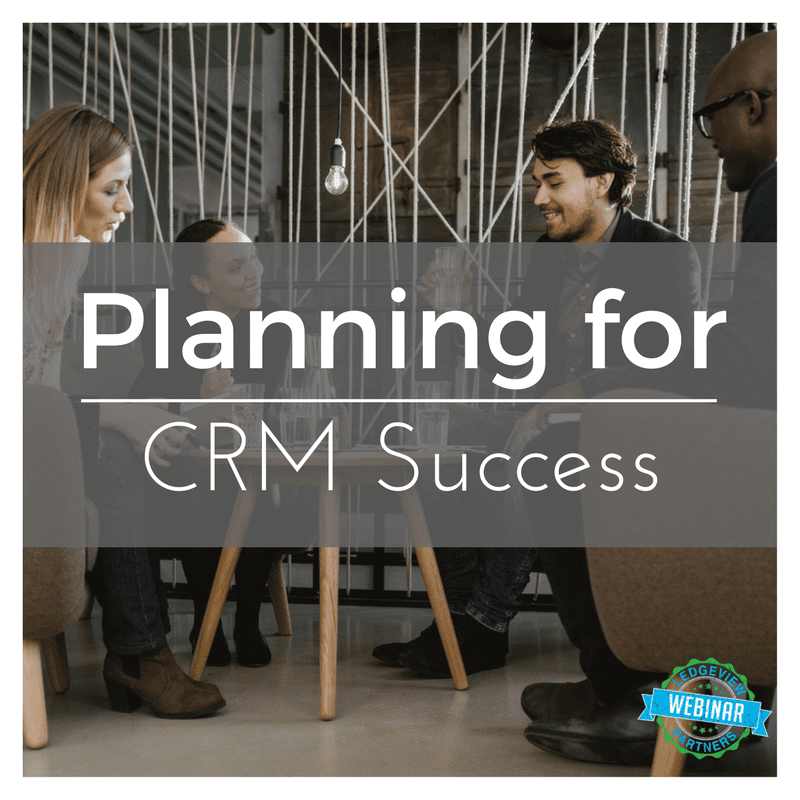 In this session we will discuss key factors in successfully planning for CRM Success. How to assemble your project team, avoiding project failures and pitfalls, best practices for designing and deploying CRM, building a successful user adoption program and achieving ROI.